Spring is here and its time to start thinking about grilling outside more. 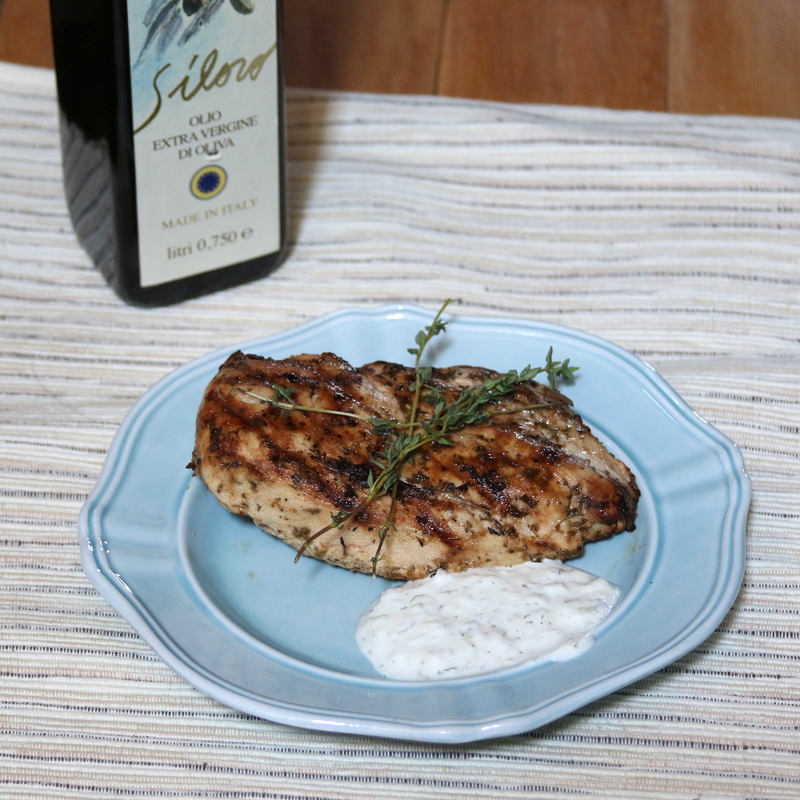 One of our favorite grilled recipes is grilled Greek chicken. The marinade recipe uses common ingredients that you probably have on hand. Another big plus is that you don’t have to marinate the chicken for many hours to get that bold grilled Greek chicken flavor. 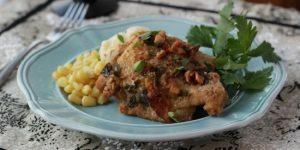 In as little as 45 minutes your chicken will be ready for the grill and you won’t be disappointed. We like to whip up a quick batch of tzatziki sauce to go along with it. If you have the time a batch of flatbread goes great with it as well (you could cheat and pick some up from the bakery section at the market). This recipe also serves well with warm couscous or a cold tabbouleh salad. To keep the chicken from sticking to the grill I roll up a paper towel, hold it with tongs and use a squeeze bottle to coat with peanut oil. Brush the grill with the paper towel covered with peanut oil to create a non-stick surface. Once the chicken is on the grill for about 3 minutes use tongs to rotate the chicken 45 degrees to create crisscross grill marks. Pour all ingredients into a gallon sized zip bag, seal and mix well. Add raw chicken to bag and seal and squeeze bag to cover all of the chicken. Allow to marinate in the refrigerator for at least 45 minutes and grill at 450* until internal temperature reaches 160*.